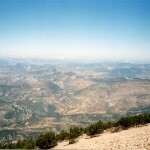 France is in the lucky position to have more than a few mountain ranges, which means that no one in France, be they inhabitants of tourists, can’t say that there isn’t a ski resort within a day’s travel. With mountains like the French Alpes or the Pyrenees, there are more than enough ski resorts in France to accommodate the throngs of ski and other winter sports lovers, but still, some resorts are just better than others. If you can’t settle for anything less then the best, then the most exciting ski resorts in France won’t disappoint you. 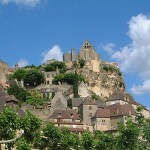 Great facilities, beautiful slopes, scenic towns, all of it with a pinch of typically French charm. Chamonix is without a doubt one of the most popular ski resorts in Europe, and has been so for quite a while. After all, the first Winter Olympic Games ever were held in Chamonix in 1924, and on top of that, it is located at the foot of the famous Mont Blanc, the highest mountain in the Alps. 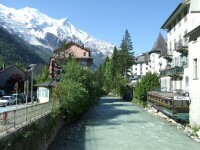 There are several skiing areas around Chamonix, for glacier skiing, extreme skiing and skiing for beginners. 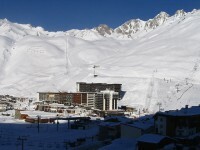 The Tarantaise Valley has several world-class ski resorts, but Tignes is one of the most scenic resorts in the area. Tignes is a fairly compact village where the use of cars is discouraged, so it has a nice pedestrian feel which is especially pleasant in summer when the area turns into a hiking paradise. The village has over 20 bars and restaurants for those who need to relax after a long day of skiing. Méribelis part of the Three Valleys, along with Courchevel and Val Thorens, but it has the best nightlife of the three, so if you don’t like your evenings quiet then Méribel will do the trick nicely. However, the best thing about Méribel are the slopes and their magnificent spots for off-piste, the huge drop-offs, and great speed runs. Chatel is one of the most picturesque ski resorts in the huge Portes du Soleil region, which is quite a feat seeing as it has several popular competitors. 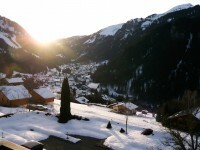 This former farming town has turned into a bustling ski resort, yet there are still several farms operating within the city, which means that fresh local produce is freely available in Chatel. Avoriaz is close to the better known resort of Chamonix, but it can very well hold its own. Avoriaz is one of the earliest ski resorts in the country, and despite its age it is still one of the most exciting ski resorts in France. Avoriaz is a great destination for any budget and caters to all standards of living, but what makes it truly special is the fact that is one of the best snowboarding destinations in the world.